The planning and kitchen design stage are very important for homeowners thinking of redesigning or putting up a new kitchen.It is no wonder that this important space attracts so much attention. 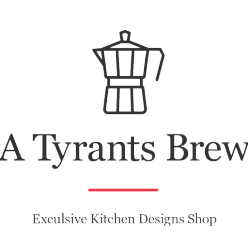 A Tyrants Brew provides you with tips, techniques and ways on how you can keep your kitchen attractive and up to date. Our articles are written by skilled writers for our readers to follow. We can be contacted through our Contact Us page for any queries or comments.